Your decision to become a medical practitioner was based on a desire to help people. You want to know at the end of every day that you’ve touched people’s lives in a positive way. Whether you pursue medicine from a psychological perspective, as an emergency caregiver, or a surgeon, healing is your mission. 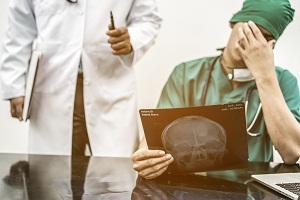 It’s not pleasant to talk about the possibility of malpractice, but it's necessary. Your daily goal may be pure, but not every patient you treat will think the same way. Sadly, many of your patients may be of the mindset that if something goes wrong, accidental or not, they will sue, no questions asked. Although you're required to carry insurance, here are a few other things you’ll want to keep in mind in the event you find yourself working with expert witness services as part of a malpractice suit. Documenting your work is part of the job. You’ll already have detailed files of the time you treated your patient. But, don’t stop there. Keep documenting everything you do that pertains to the case as you work towards a court date. · Journal any current cases (without using names) of patients with similar procedures. This shows consistency across your practice. Although medical malpractice suits are far more complicated than a traditional “he said, she said,” they aren’t really all that dissimilar. The patient is saying you did something wrong and you disagree. In order to solidify your case, it’s vital you hire a medical expert witness who knows how the court system in your state works. Before taking a job, ask the hospital if, in the event of a lawsuit, they are responsible for hiring medical expert witnesses, or if that cost falls to you. A job isn’t work if you love what you do. Maintain your love of medicine and the good you do by knowing how to best handle malpractice lawsuits. Call 1-855-9-MedMal. Alternatively, fill in the form below and we will contact you within one business day. We never share contact information with anyone.